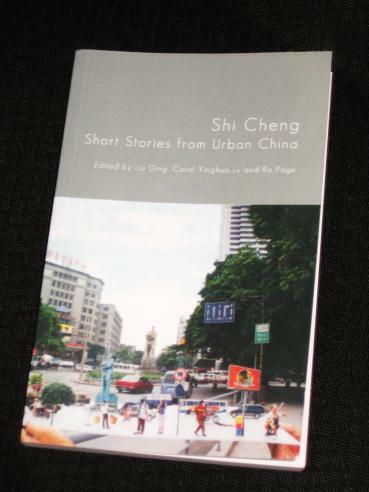 Shi Cheng – Short Stories from Urban China (review copy from the publisher) is a recent anthology from Comma Press, which… well, it does pretty much what it says on the cover. It contains ten different stories, each by a different writer and each concentrating on one Chinese city (Shi Cheng is Mandarin for ‘ten cities’). The stories are arranged a little unusually in that they literally take us on a journey through urban China – we start off in Hong Kong, move onto cities like Xi’an and Nanjing, move up the coast through Shanghai and Beijing, before finishing off in the cold northern city of Harbin (and no train ticket required!). The habitual reader of translated fiction probably has certain expectations about works translated from Chinese, thinking that they are likely to be controversial works on banned topics (e.g. Ma Jian’s Beijing Coma) or stories about the hardship poor peasants face (e.g. Yan Lianke’s Dream of Ding Village). Shi Cheng, however, is a very different book. It avoids any real explicit political message (although there are plenty of implicit stabs at Chinese politics) and concentrates on the way the average Chinese citizen lives their life in the big cities. Strangely enough, it makes for a refreshing change. One common topic is the importance of education in China, something we all hear about but can’t quite grasp. In Cao Kou’s But What About the Red Indians? (translated by Rachel Henson), the main character in the narrator’s story is a young man whose failure to succeed in the highly-competitive university exams is partly responsible for a shocking event later in life. The protagonist in Ho Sin Tung’s Square Moon (translated by Petula Parris-Huang) takes an art history major at university, instead of following the path of an artist, simply because there are better job prospects at the end of the course. These stories sound wonderful. I love short stories, and am fascinated by China, but reading this realizing I have have not really read stories by Chinese authors in translation – great recommendation for a place to start. Tony, this does sound like a very good starter collection on the Chinese short story. Mel – It is a good one to try. I'm not sure how 'famous' (to put it crudely) these writers actually are, but I enjoyed the collection and can recommend it. I do like books that offer a different perspective and in the process question perceived ideas on a country, making this a very appealing book. Looks interesting will track out a copy – thanks for posting. Sounds like a book to explore. I'm happy to learn about this press, too, as I see that they have some other intriguing collections including short stories centered on particular cities and one focused on small towns in Europe, plus a collection of “science” related stories, another of contemporary horror stories, and another coalescing around Freud's concept of the uncanny. Seraillon – I've focused on the translated collections they have to offer, but there is a lot written in English too. It's another of those great small presses that fill the gaps the majors often don't want to bother with.